Shortly after our move to Oklahoma this past summer I wrote a post about making adventure happen no matter your location, a topic very near and dear to my heart. I believe every corner of this Earth holds beauty and it is our privilege to explore and enjoy them. I spent my childhood exploring the Rocky Mountains and I miss them terribly. I learned to love the pines and sandy beaches of Florida while studying forest management in college. But here I am, half way in between and loving a new kind of outdoors all over again. When I found out we were moving to Oklahoma I figured there would some outdoor activities. Probably the usual state recreation areas with a few national parks sprinkled around. And that about describes it here. But, what I wasn't expecting was how much it would speak to me and my family. 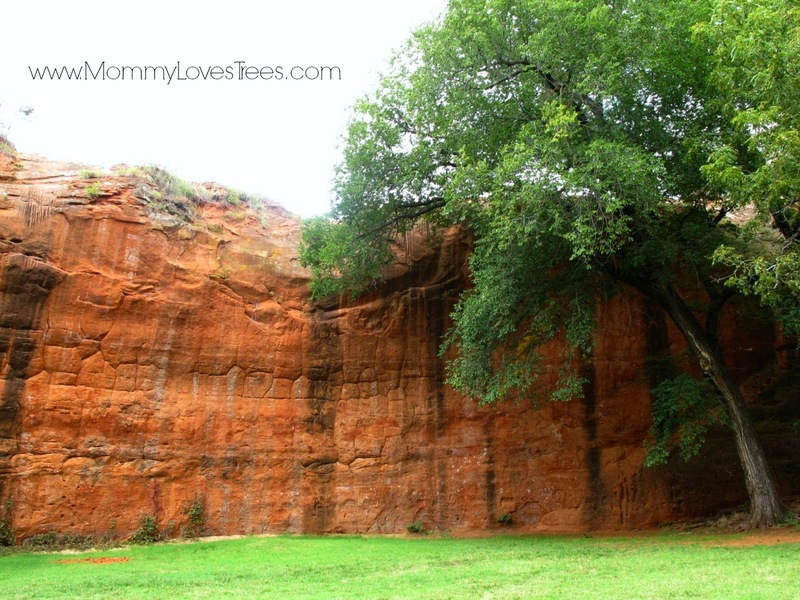 My son's favorite color is red and Oklahoma is chalked full of red dirt and rocks. He loves exploring, throwing and climbing all over his red dirt and rocks. For me, the hues of red are just beautiful. In addition to the red, Oklahoma is, in my opinion, part of big sky county. We regularly have colorful sunsets and plenty of interesting cloud formations to contrast the red rocks. No towering peaks here, but there is more topography than I expected. I appreciate the texture of the gently rolling hills and unexpected canyons. I know you can find these things in lot of places but I consider myself lucky to live in one of them. 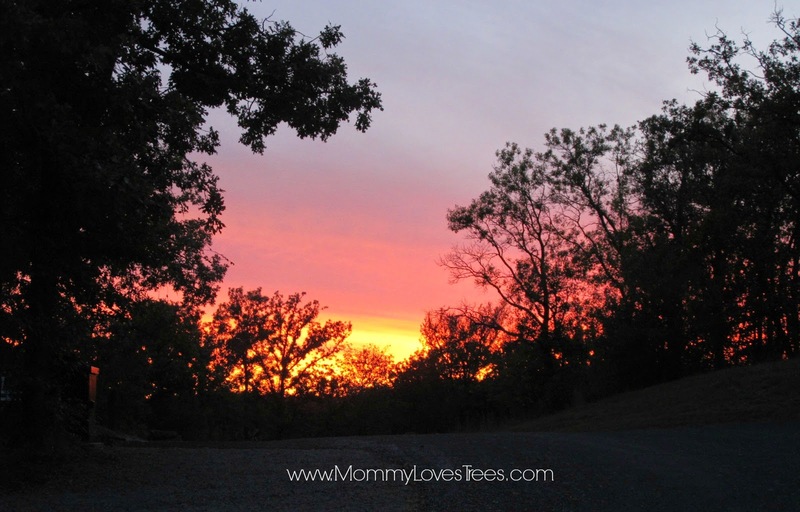 Memorable sunset during our camping trip at the Chickasaw National Recreation Area. I haven't wasted any time in getting outdoors and exploring. Mostly it has just been with my two kids, ages 2 and 5 and, overall, we have been impressed with the facilities and amenities available. 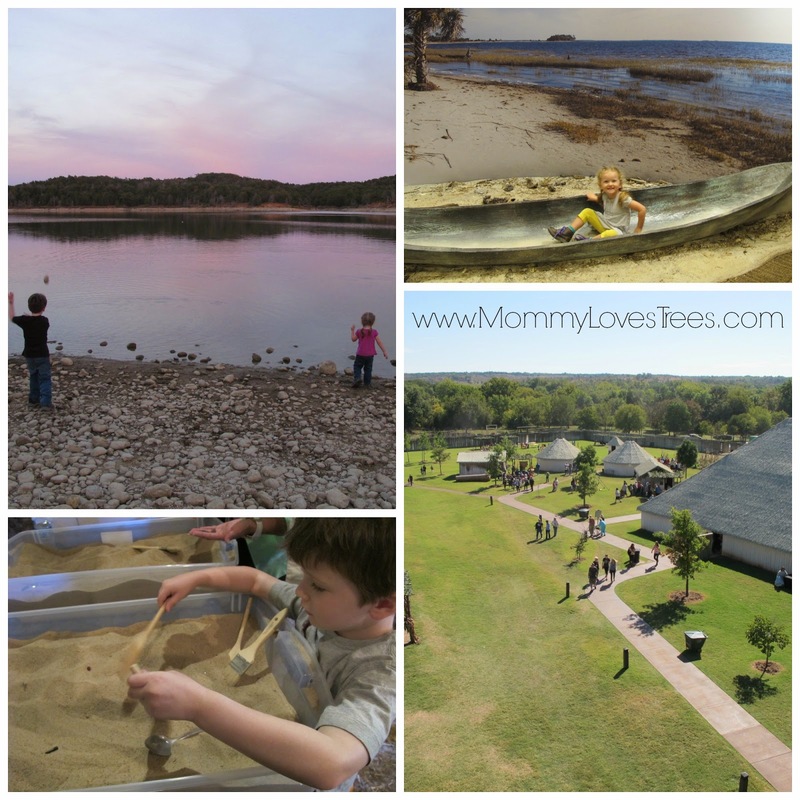 Here are my favorite outdoor-filled day trips from Oklahoma City. The topography in these areas are very light. Making them very easy to visit with two kids while my husband is at work. Lake Thunderbird State Park is located about 30 minutes southwest of Oklahoma City. We participated in their First Day Hike on January 1, 2015 and were blown away by all they had planned. They held a information session on wildlife photography and provided healthy snacks before and after the hike. The park naturalist was especially fun. He has a real passion for connecting kids with nature and took a lot of time with our son. There is a lot more to explore here. 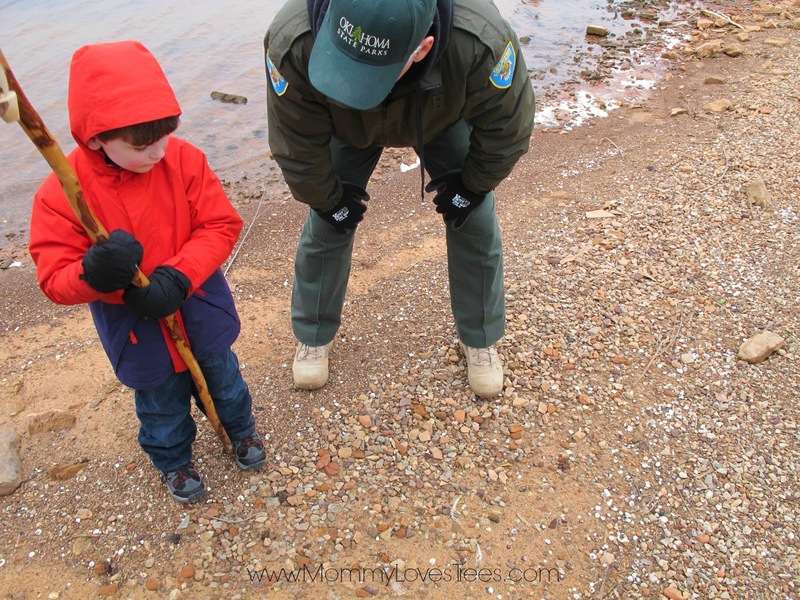 But if you have kids just stop by the nature center and enjoy a talk with the naturalist and a walk down to the lake. There were no entrance fees. The naturalist showing my son different types of bird feathers. Red Rock Canyon State Park is a beautiful canyon about an hour west of Oklahoma City. I seriously felt like I was driving to the middle of a town and all of a sudden, there it was. I was so excited to see topography (this was my first experience seeing topography in Oklahoma) and the best thing about it was the color. This park offers the traditional activities of hiking and camping but also has spots for repelling. It is one of the few places to repel in Oklahoma. We went during the week and we were kind of the only ones there. But, there are a ton of campsites and I imagine that the canyon gets pretty busy during peak camping season. There were no entrance fees. 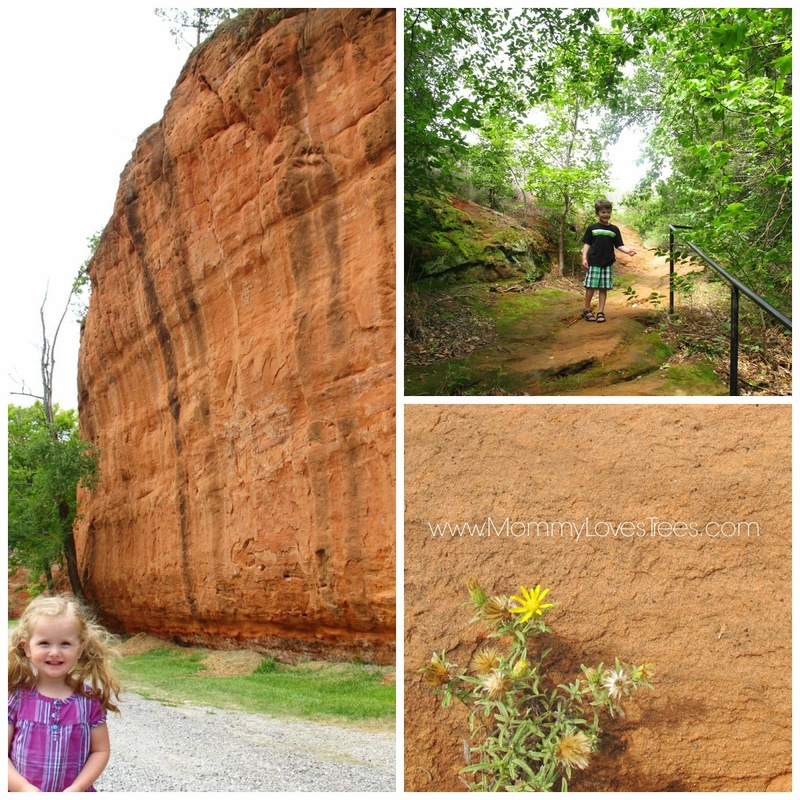 This Chickasaw National Recreation Area is about an hour and a half south of Oklahoma City. We love this area. The Cultural Center is part of the Chickasaw National and is mostly free. There is one museum that costs but the traditional village is all free. We visited during their fall festival and had a ton of fun. They had a bunch of activities and demonstrations all for free. The National Recreation Area has springs, lakes and hiking trails. We camped here last fall and are planning on going back because there was so much we didn't get to see. We explored the Lake of the Arbuckles on our last visit. Martin Park Nature Center is located on the north side of Oklahoma City and is perfect for a nature excursion when you can't leave town. 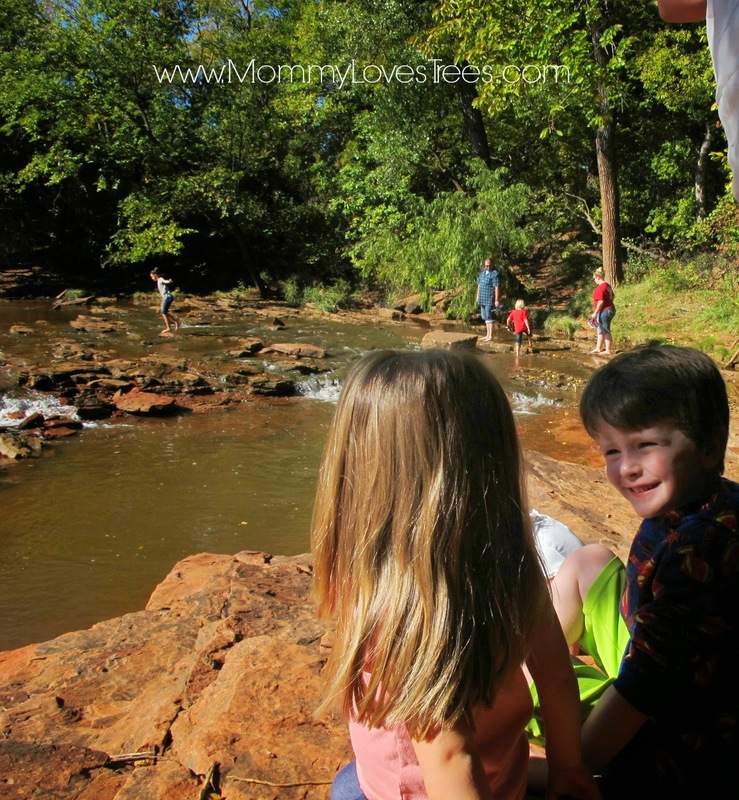 My kids love this place because it has a playground, an observation tower, multiple bridges and an interactive nature center. I love this place because I can show my kids the animal indoors, then take them outdoors and help them understand where those animals live in the wild and how we can protect them. 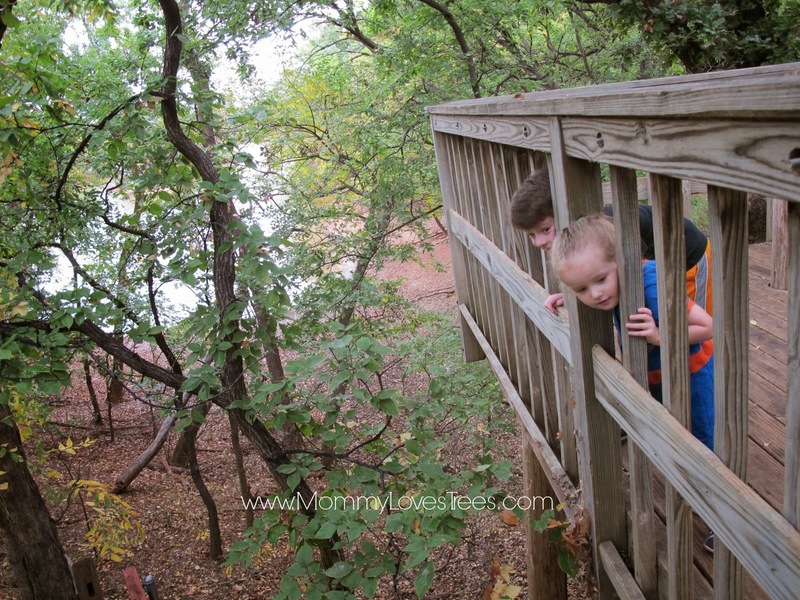 My kids love the observation tower. One of the prettiest features of this park is the river. It flows over red rock and is a fun place to cool off on a hot day. We make a stop there every visit. This is honestly a good place for a nature fix without having to travel. There were no entrance fees. Archadia Lake is location about 15 miles northeast of Oklahoma City. We love the trails in this area because of the lake. I have found that it is helpful to have "destinations" when hiking with kids. This gives them something to look forward to and makes our breaks more interesting. 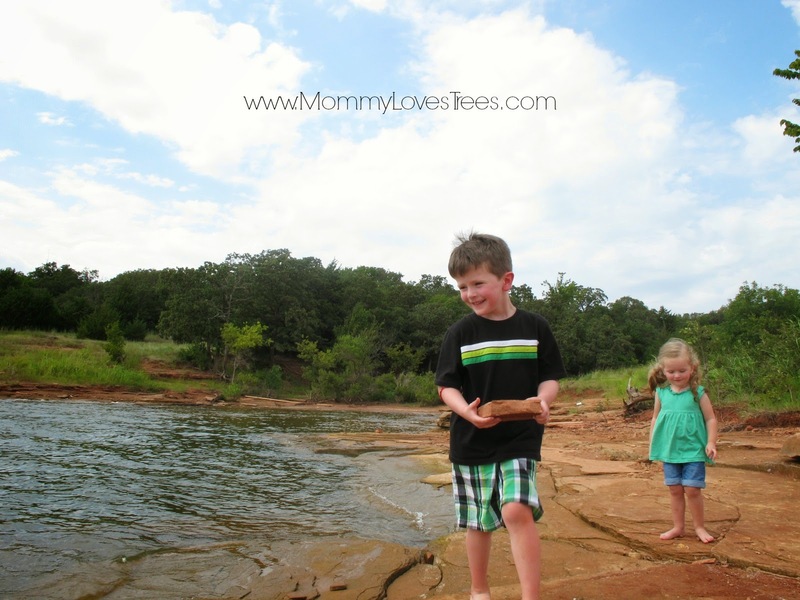 We usually stop at the lake towards the end of our hike for some rock throwing and snacks. There are entrance fees at this park. Roman Nose State Park is located about an hour and 15 minutes northwest of Oklahoma City. It is set in a beautiful canyon filled with trees and water bodies. 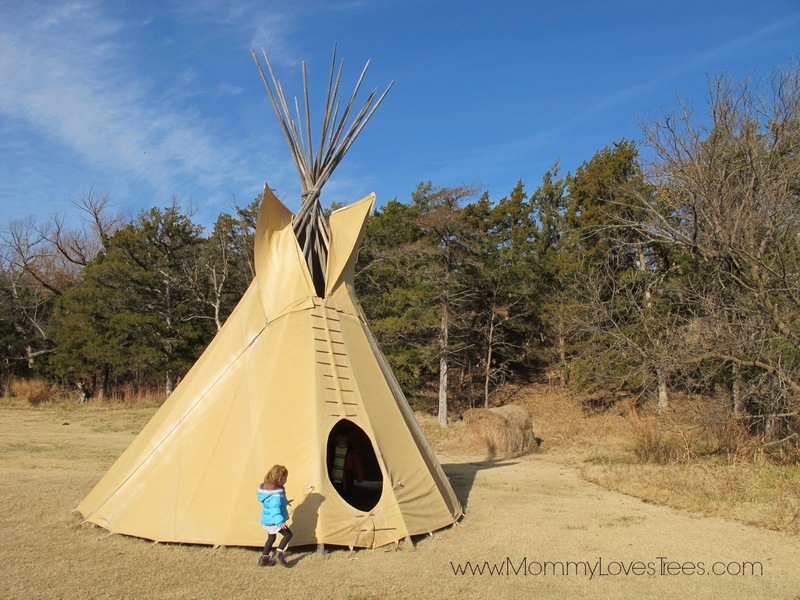 The highlight of our trip was exploring the Tee-pees. We cannot wait to go back and camp in them. This park also has a golf course, paddle boats, natural springs, stables and hayrides. Once again, I would imagine this place gets pretty busy during peak camping, golf and fishing season. There were no entrance fees. This is a beautiful mountain range located in southwestern Oklahoma. I can't wait to spend a day hiking here. This state parks holds the highest point in Oklahoma and is located in the panhandle of Oklahoma. This will be more than a day trip but I am looking forward to exploring this area. I am sure I will find more areas to explore. I will also revisit many of the areas from this year and continue to explore their trails.